The Exit Store supplies emergency lighting suited to every budget type, application, and business environment. Emergency lights illuminate an exit path in the case of a power outage, ensuring the safety of building occupants. From our basic lighting systems to our feature-laden architectural grade fixtures, we can satisfy your emergency lighting needs. We offer a wide selection of emergency lights and fixtures, including emergency light batteries and hazardous location emergency lighting. Our LED lights comply with a range of industry standards including UL, ANSI, NFPA, and OSHA regulations. We supply wet location emergency lights ideal for use in commercial and industrial environments. Wet location light fixtures are specially designed for hose-down areas, food-processing facilities, parking garages, and other demanding applications. When it comes to equipping your hazardous location with emergency lighting and signage, quality construction and durability matter. No matter what Class, Division or Group environment you’d like to equip, we have the hazardous location lighting you need. We offer hazardous area lighting featuring corrosion-resistant, copper-free cast aluminum constructions. The Exit Store provides hazardous location lighting approved for use in Class 1, Divisions 1 and 2, and Class 2, Divisions 1 and 2, Groups A, B, C, and D environments. For example, Class 1 environments require lighting that is explosion proof and intrinsically safe. Class 2 locations are hazardous because they contain combustible dust. For both these environments, the Titan Series Industrial Grade Hazardous Location Remote Power Pack would be an ideal option. Steel emergency lighting is the ideal solution for rugged environments where durability is a necessity. Frequently used in warehouses and factories, steel emergency lights feature steel housing and meet stringent codes for NYC and Chicago compliance. Equipped with security features like temperature compensated circuits and brownout protection, our steel emergency lights will provide reliable illumination even if the city’s power grid falters. 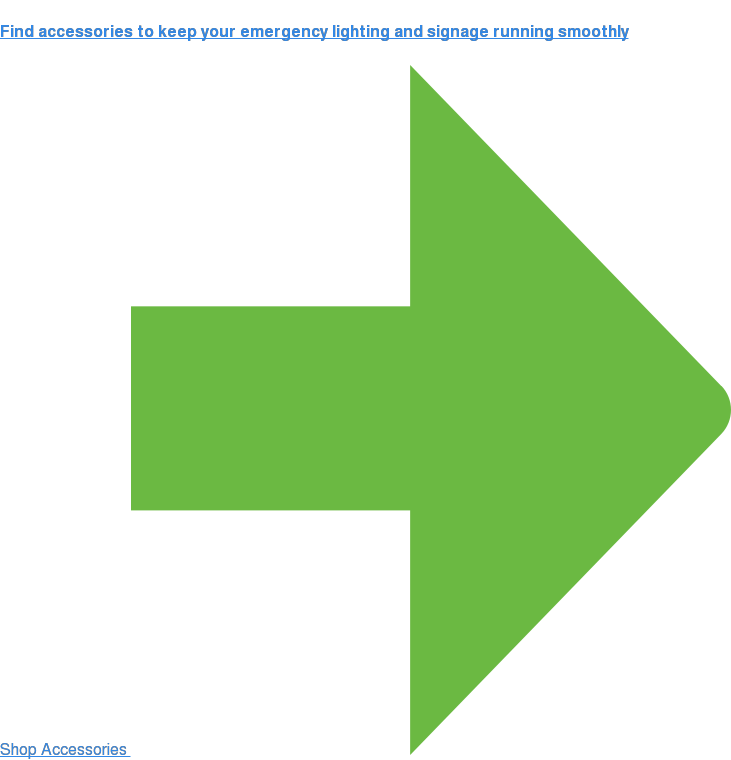 The Exit Store manufactures and sells a variety of thermoplastic emergency lighting. Durable, impact-resistant, and flame-retardant up to 176ºF, thermoplastic models are an affordable alternative to die-cast aluminum or steel emergency lighting. We offer thermoplastic emergency lighting and fixtures ideal for installation in commercial, retail, and industrial facilities. Our die-cast aluminum emergency lighting offers a sleek, streamlined design with fully adjustable, high-powered MR16 LED lamps ranging from 4 watts to 50 watts. Tungsten or Halogen lamps are also available, depending on the model. These lights are offered wet-location rated and with stainless steel, tamper-proof screws. Find emergency lighting systems designed for industrial and commercial environments. Working with a tight deadline? 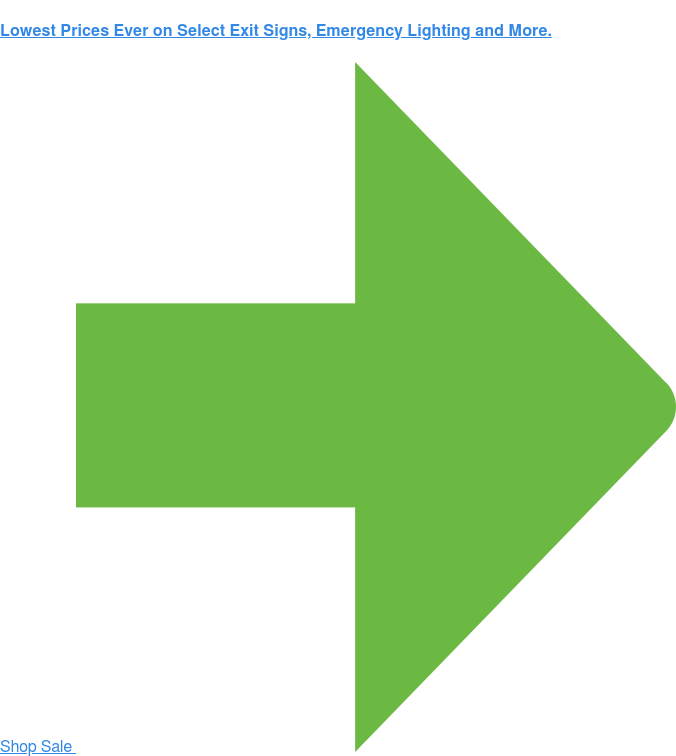 Enjoy fast delivery on all of your exit sign needs.